This entry was posted on March 6, 2016 by Tinteán Editorial Team/EMcK, in Book review, emigration, Fiction, Of Literary Interest, publishing, Review and tagged Emigration, family history, Irish Ancestry, irish diaspora, NSW, Women' history. Bookmark the permalink. 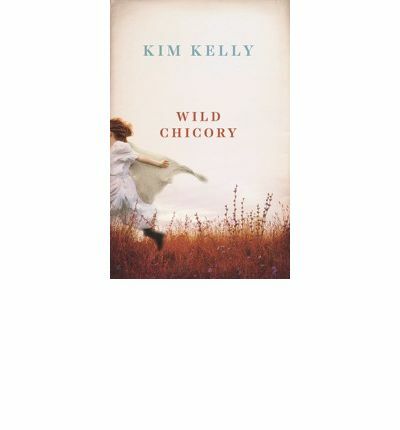 Kim Kelly: WILD CHICORY. The Author People. 103 pp. ‘A slip of a thing,’ Kim Kelly calls her book, a reference to its size, not to the story it tells. Other writers would require four times as much ink to tell a story that goes back to the beginning of the twentieth century in Ireland and ends in a field of wild chicory in today’s rural New South Wales. The book is a family saga told through the lives of three strong women: Brigid Kennedy, her daughter Nell O’Halligan and her great-granddaughter Brigid, named after her. They are survivors, fiercely protective of their brood, in no way soft or pampering, but heaven help anyone who tries to break in. And that includes, sometimes hilariously, anyone who thinks himself or herself good enough to be a Kennedy. We are first introduced to the original Brigid, living with her Kennedy husband, ten sons and tomboy Nell on a hill farm in Kerry in the early years of the twentieth century. There was little chance of gainful work for ten growing boys in those days and although their sister Nell thinks she is the cause of the family’s decision to emigrate to Australia, the reason is more likely the need to survive. We learn all this through the stories told seventy years later by Nell to the younger Brigid, her inquisitive granddaughter who is the link between all the accounts. The two tell each other stories, or rather allow the author to use them as pegs on which to hang her narrative. As well as Kerry and Ulster, the action is set in early century Surry Hills and mid-century Marrickville and even modern Tamworth and Orange. There are clashes based on religion or social status, but they rarely go beyond name-calling; when everyone is poor, cooperation tends to be more common than conflict. It is uplifting to know that there are people who can write like this with clarity, a bit of devilment and a hint of a smile. The story is a simple one, but told in a way that keeps you reading as much for the elegance of the telling as for the action it describes. Here is prose with a light, sunny breeze blowing through it. Not the intimidating thunder of a John Banville or the galloping breathlessness of a Maeve Binchy, but rather the gentle zephyr that brings tears and laughter in the way that life itself does. Why can’t more people write like this?